The Kickoff is the party platter and serving tray made especially for avid football fans. Its simple yet distinctive design features inlaid white Bamboo to mimic the laces of a football and tapered sides for easy grasping. A recessed groove along the perimeter of the board catches cheese brine, fruit juices or au jus to keep your countertops clean. 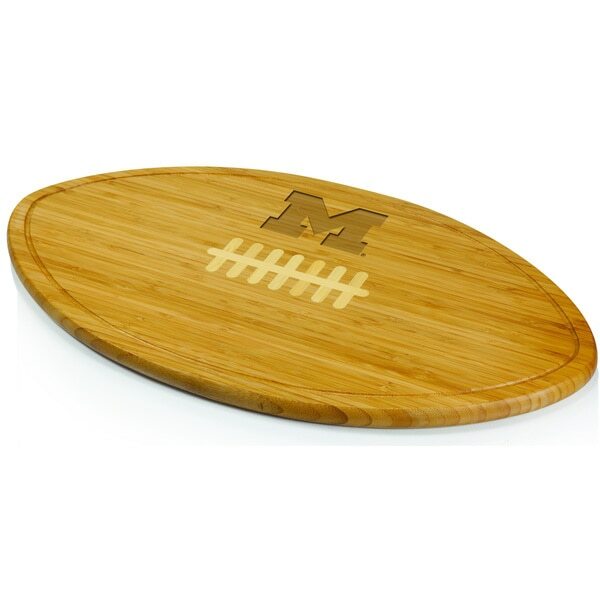 The Kickoff cutting board will set the right mood for your next football-themed event.